Whether you’re looking to hunt at night, explore an area at night, or just admire what’s happening in your own backyard during the night, getting night vision goggles can be a really fun thing. However, when it comes to getting good night vision, you will want to make sure that you’re getting the best for you. In this article, we’ll be going over some of the best night vision goggles out there and then going over what you should look for in a night vision goggle just in case what’s on our list doesn’t fit your needs. When it comes to figuring out the best night vision out there, you can’t beat the latest technology. Now, we will warn you right now that this piece of tech is going to cost you quite a bit. That’s the price of getting Gen 4 technology. However, if you want to see far out, then this is the kind of tech that you will want to get a hold of. These goggles are going to let you see clearly and far away, especially if the moon is out. Even if the moon isn’t out, you’re still going to find it incredibly easy to spot creatures around 75 yards away from you. However, even though these night goggles will be great for most things. They are not great for things such as diving. The technology doesn’t have a great way to attach to gear so that you are able to easily breathe underwater. Other than that, if you are using it on land, then this piece of technology will be well worth the high price tag. When it comes to night vision, we’ve already mentioned that if you want something good, then you’re going to have to be willing to drop quite a bit of cash on a good piece of technology. However, there are exceptions to the rule. Relative to other pieces of night vision tech, this one balances the price with the tech behind it. These goggles are Gen 1, so you will notice that they aren’t as clear as others. They won’t let you see exactly every detail, but it can still be quite a good piece of technology. Another downside is that it won’t be quite as sturdy as other goggles out there. However, if you treat these with care, then they’re going to last for a while. The lower price of these goggles doesn’t mean that they are inferior to other models available, just the age of the technology. Depending on how long you’re planning on keeping the tech, then these can be great. If you’re buying night vision for someone that’s just started hunting, then this might be a good first piece of gear. There are cheaper and even less powerful models out there, but this will still be powerful enough for most hunting needs. This pair of goggles is a little bit more expensive again, but it may be worth it if you are going to be taking these goggles with you on long trips. The weight of these goggles is relatively low at one pound. There are lighter pieces of technology out there, but if you go too light, then you’re going to sacrifice the tech that will let you see even more clearly. Another great thing about these goggles is that even though they are so light, you don’t have to worry about them being frail. While you should never strive to drop your goggles, these ones will be able to hold up to most drops. The biggest downside is that even though they are decent and Gen 2 technology, they can be a bit expensive. And while they will hold up to some rough handling, many users find that it doesn’t take a ton for them to start not functioning. When you’re doing activities that require you to see quite a ways and be able to see in your peripheral, then you’re going to want something that has a good field of vision. These balance a good field of vision (around 36 degrees) with good visibility throughout that field. Other goggles try to be more ambitious and wind up falling flat because they can’t hold up the quality throughout the field of vision. 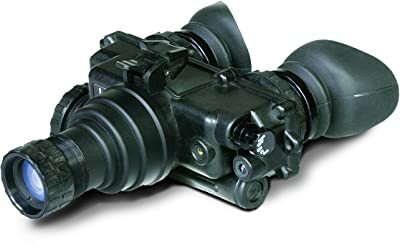 There are relatively average in price compared to most night vision goggles, but they are at the higher end of Gen 1 goggles out there. This means that you might notice some clarity issues at times, but Gen 2 or higher models might not be able to compete with the field of view. Some parts of these goggles might feel flimsy, especially when you take into account the price. But the money goes into more powerful tech within the casing. While the most common type of goggles is your standard binocular design, there are plenty of other designs out there, each able to do something a little bit different than binoculars. 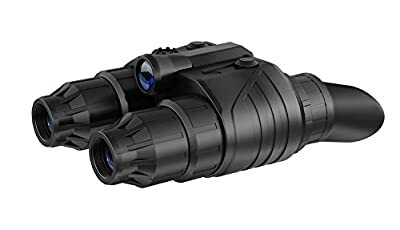 These monoculars allow you to look through two eye slots and see an image that is captured through the monocular on the other end. These are a little bit expensive for some and the tubes inside can break faster than some people expect, however, they are a great goggle to use for however long they last. The visibility and the use of these are great. One thing that you’ll have to be wary of is that if you’re using these to look at stars, then you’ll actually want to do this on the darker nights. Too much moonlight will actually make these goggles much less useful. 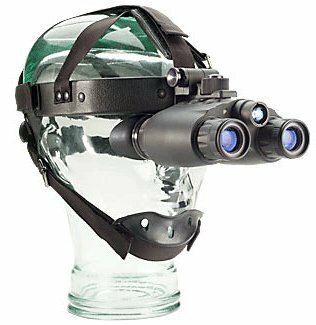 Last but not least on our list of best night vision goggles are some that are going to be able to survive a lot of wear and tear. These goggles cost quite a bit, but not only are they durable, they’re Gen 3 technology. The higher price that you’ll be paying for them may very well be worth it. However, just because they are durable and great quality, doesn’t mean that everyone is going to be willing to pay for the tech. These are some of the more expensive Gen 3 goggles on the list and it might be way too steep for people that want use them for less serious hobbies. There are lots of qualities to consider when it comes to your night vision goggles. While we’ve already included a list of good choices, if you can’t find anything on our list that fits your needs, then you’ll have some criteria to base your own search on. The first thing you’ll want to take into account is where you’ll be using your night vision goggles. If you know generally what you’re looking for or where you’ll be looking, you can use that to base your viewing distance and other criteria on. If you’re looking for the sake of looking, then you might be able to take a step down in the quality for the sake of a price that’s better suited to what you’re willing to spend. Where you will use this can be a very difficult question and you should try and plan for various places, not just one area. You never know when you’ll want that night vision. This is a huge question, but it comes with quite a price tag. So you’ll have to decide how much you’re willing to spend on the image versus other parts of the device such as battery life and how visible the goggles will be in the darkness. However, if you want a clear image, there are a number of goggles out there that will be able to suit your needs for a couple of different uses. There are generations of night vision technology. Generations 1-3 are fairly common now with generation 4 on the horizon. Generation 1 is the oldest and the least expensive, but a lot of it isn’t the best quality now. So this may be an easy way to limit your spending by looking specifically at certain generations. Of course, some tech that is labeled Generation 1 can still be expensive and quite good. While goggles are fairly common, there are a couple of different kinds of devices. Devices that mount onto your head are very nice since they leave your hands free, but some goggles will also separate so that you can use them only when you need them. 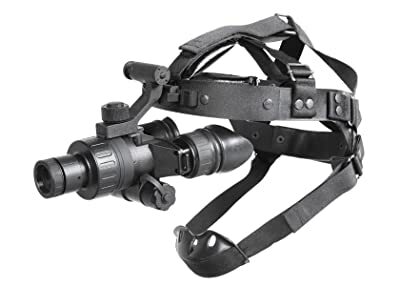 There are still other devices such as monoculars, which as just the one eye or devices that are only binoculars and can’t be mounted onto anything. If you’re a hunter, then you’ll even be able to find scopes that are night vision. Just because we haven’t covered all of the different kinds of devices here doesn’t mean that we wouldn’t suggest that you look at them as well. Whatever night vision you pick, make sure that you’re getting what fits you the best. We’ve drummed on this enough throughout. For good night vision, you’ll have to be ready to spend a pretty penny. Some devices can get close to $10,000. However, that doesn’t mean that every device will cost you that much. You can find a wide range of devices for a wide range of prices. But you will have to be careful about what you pick. If you’re finding something cheap, then make sure that you keep it in mind when you use the device later. It can be quite an investment, but that investment can last you for years with how durable people are building these devices. When it comes down to it, finding the right night vision device is all about looking at exactly what you want. 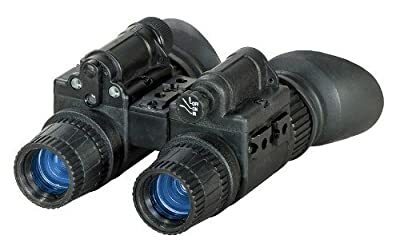 If you’re going to use these goggles for hunting, then you’re going to likely want something that has a better vision distance and a clearer image quality than someone who just wants it to look around their backyard. If you’re buying it to make sure that you’re able to see when you’re caught outside hiking and it gets dark faster than you thought, then that’s a different set of needs too. Even if we didn’t find the right goggles for you, hopefully, you’ll be able to find the ones that you want based on the advice that we’ve provided for you. Good luck out there with your new night vision! Q: Will every device will work for every need? A: Not at all, whenever you’re looking at a device like this, not all of them will really fit the same way. While the goggles on this list might be suited for most everyone, you’re likely going to find that not all of them will work for very specific uses. 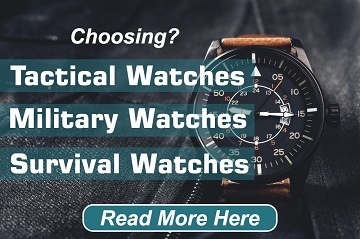 Such as, some of these might be good for those that don’t mind being seen by what they’re looking at, but if you’re hunting during early morning hours, then you might not want a tell-tale light that comes from some night vision devices. Q: Are generations 2 or 3 is always going to be better than generation 1? A: This is generally true, but not always. If you’re looking for something cost effective, then generation 1 is probably going to be a better fit for you than the other generations out there. Q: Is generation 4 technology unavailable? 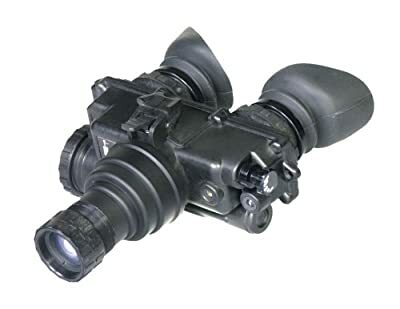 A: Since generation 4 is the most recent version of the night vision, some people might be convinced that the technology isn’t available to the general public. You’d be wrong. If you’re on the hunt for the most recent technology, then you’ll be able to find new generation 4 pieces out there. However, because of their sophistication, you will have to pay quite a bit of money to get your hands on this technology and it won’t commonly be available on websites like Amazon. Q: Why would I need durable night vision goggles? A: Well, night vision is fairly delicate. The sturdier the casing is, the less likely you are to ruin the technology when you drop it. If you’re spending quite a bit of money on the technology, then you’ll want it to last. There’s no way to tell if you’re going to end up dropping the tech, so it might be better to have something sturdy in general. Durham announced the introduction CMOS lightest and smallest night vision goggle D-088. Bare weight is 116g like 2 eggs weight.